The success rate of men and women who apply to be Fellows is almost identical. An application process that is “shrouded in mystery” discourages women for applying to become Fellows, resulting in a disproportionately low percentage of female Fellows in College, according to Dr Eileen Drew, the Director of the Trinity Centre for Gender Equality and Leadership. 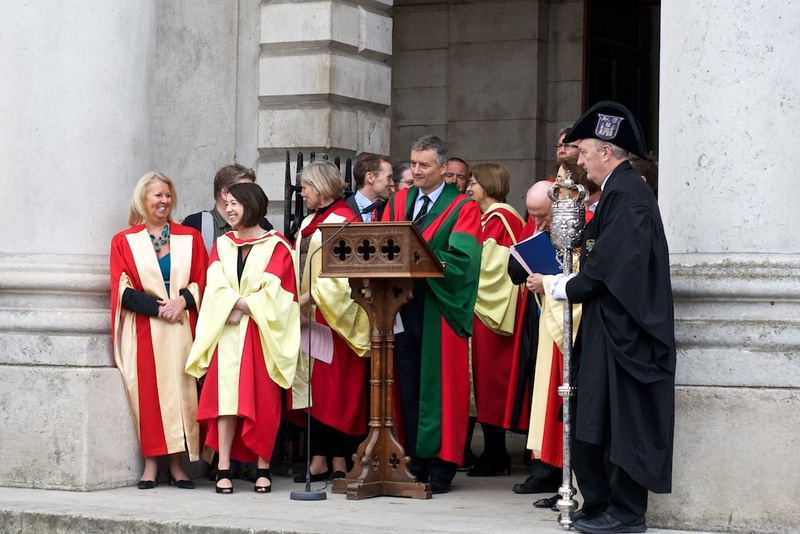 Despite women making up only 26 per cent of Fellows, the success rate of men and women who apply for Fellowship in Trinity is almost identical, according to figures gathered over the past six years. In an email statement to The University Times, Dr Aine Kelly, a member of the Central Fellowship Committee, said during the period from 2010/11 to 2016/17, men who applied for fellowship experienced a 38.6 per cent success rate, while 38.3 per cent of women applicants received the honour. Kelly, who is the Associate Dean of Undergraduate Science Education and a Fellow herself, emphasised that although these figures include those who may have applied more than once, they indicate that “women are just as successful as men at being elected to Fellowship when they apply”. This marks a drastic improvement in the successful number of female Fellows. In 2013, the College’s Equality Committee issued a report showing that only 26 per cent of Trinity’s Fellows were female. Though Kelly believes that “the barriers to women applying are much the same as those for men”, in that the process is rigorous and time consuming, institutional changes have been made in the years since the report to improve women’s chances of achieving the honour. Dr Eoin O’Dell, a former Chair of the Fellows, told The University Times that “a disproportionate number of women are part time and the statutes had previously confined election to fellowship to full time permanent members of the academic staff”. A statutory change was drafted to include part time academics, which he hopes will “ bring more women into the pool and over time should help to increase gender balance”. To remedy, information sessions have been organised to “try to demystify the whole applications and review process”, Kelly said. Known as ‘Everything You Want to Know About Fellowship But Were Afraid to Ask’, the event is held every year to “dispel the mythology” around the process, Drew said. O’Dell said that the lack of representation among the Fellows of schools such as the School of Nursing and Midwifery is partially due to the fact that these schools are newer: “Other schools with longer established traditions have more Fellows who can then mentor other women along.” Kelly echoed that sentiment, saying that in certain schools, “the same culture likely may not exist”.